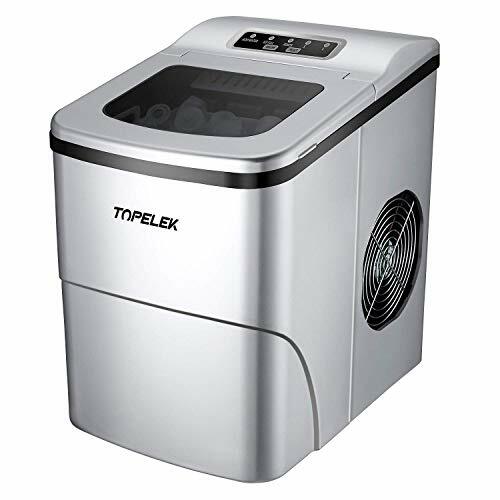 【MAKE ICE QUICKLY IN 6 MINUTES】Enjoy a batch of fresh ice in just 6 minutes with TOPELEK ice maker machine. 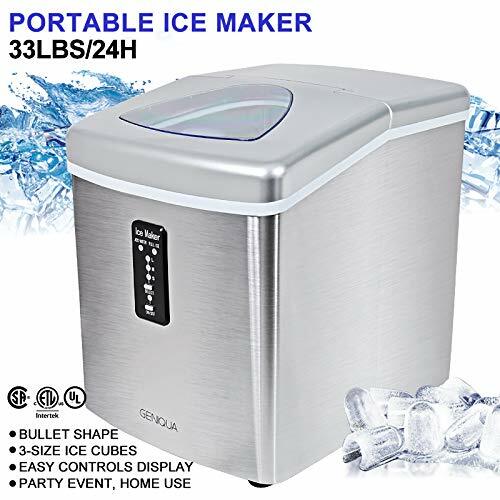 Produces 9pcs of bullet-shaped ice at a time and up to 26 lbs/12 kg of ice per day with its 2-liter/68 oz water reservoir. Note: The first few attempts will be slightly less effective, and it will return to normal after a few more uses. 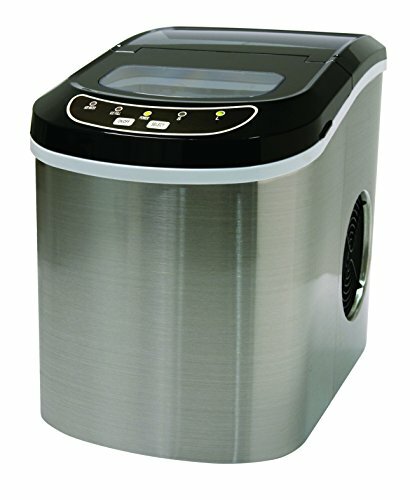 【QUIET & ENERGY EFFICIENT】Adopts powerful compressor, high quality copper aluminum fin condenser and 21g R600a refrigerant, this counter top ice maker machine achieves low noise level, fast cooling effect and low consumption. It runs at less than 45dB which means your entertainment will not be disturbed. 【EASY TO USE WITH SMART INDICTOR】With simple control panel, just add water, plug it in, press the power button, select the ice size and forget it. The indicator lights up when the ice is full or you need more water. No plumbing required, easy to fill and clean. With a outlet and drain plug at the bottom, easy to empty the unused water. 【LARGE OR SMALL ICE SELECTABLE】2 ice sizes optional. Popular bullet-shaped ice, not easy to melt and stick together, great for cooling drinks, food and for first aid. Large translucent window for easy observation. 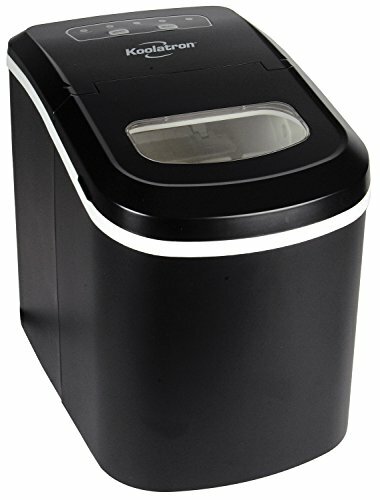 BONUS-removable ice basket and ice scoop, convenient for you to transfer ice cubes to your drink or ice bucket. 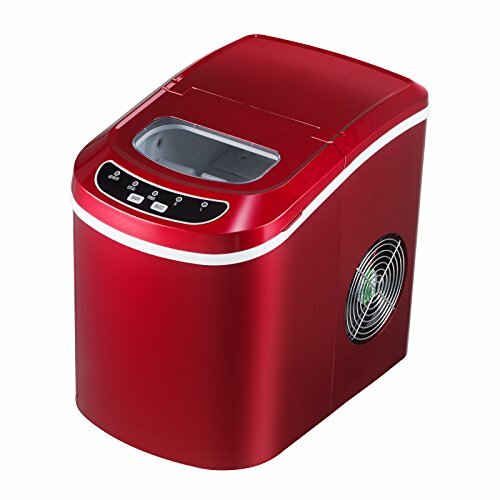 【SAFE AND PORTABLE ICE MAKER MACHINE】Made of food-grade material, just for your health and safety, no odor. Durable ABS shell, smooth and easy to clean. Measures just 22.2 x 31.3 x 32cm/8.7 x 12.3 x 12.6 inches, small enough to fit on most on countertop or neatly stored when not in use. take up less space at home or in the office. 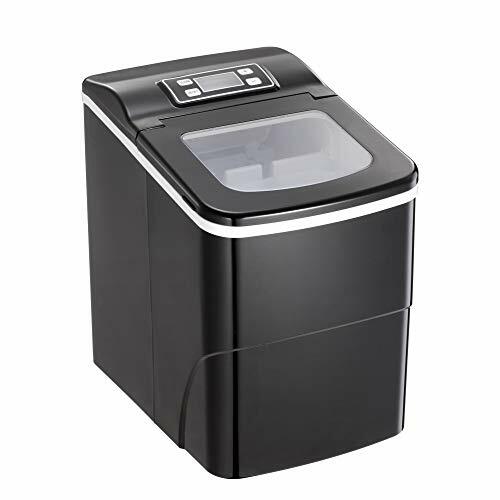 ★LARGE PRODUCTIVITY--The KUPPET Ice Maker can continue to work without interruption during 24 hours. 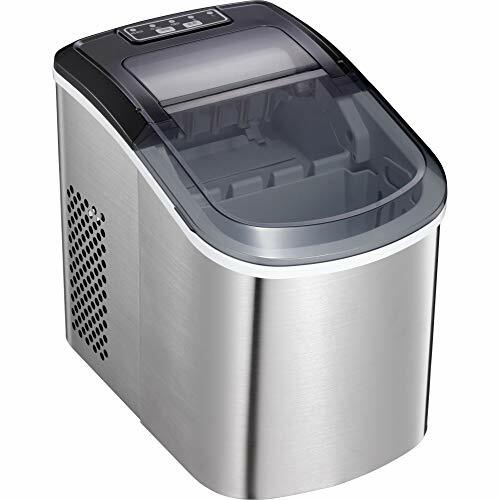 Powerful compressor produces 33 pounds of ice a day so you never have to run to the store for a bag of ice again.You can create ready-to-serve ice in an average of 6-9 minutes. 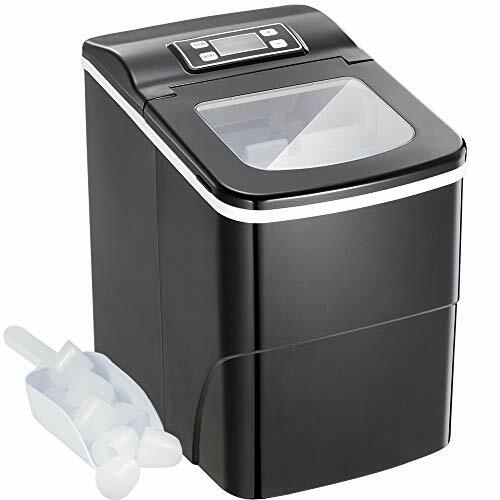 ★EASY TO USE WITH SIMPLE CONTROL PANEL--The KUPPET Ice Maker is so easy to use, you simply plug it in, add the water and away you go. The buttons on the control panel let you turn it on and off and select the size of ice required. There's also indicator lights to tell you when the ice is ready or when you need to top up the water. 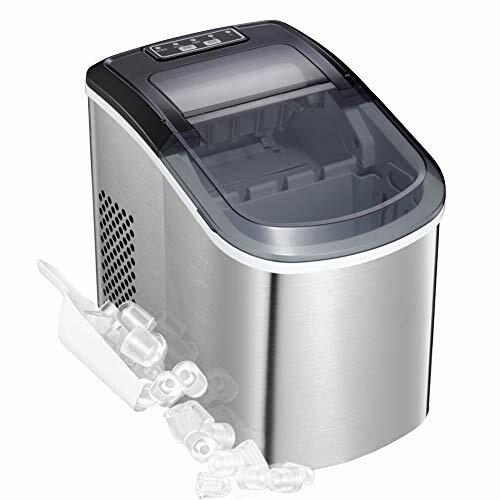 ★BUILT-IN SAFETY FEATURE-- This ice maker machine features an automatic overflow protection and ETL certification,so you can buy it with confidence.And that you can see through window for process monitoring & ice level checking at any time,very convenient for you to use. 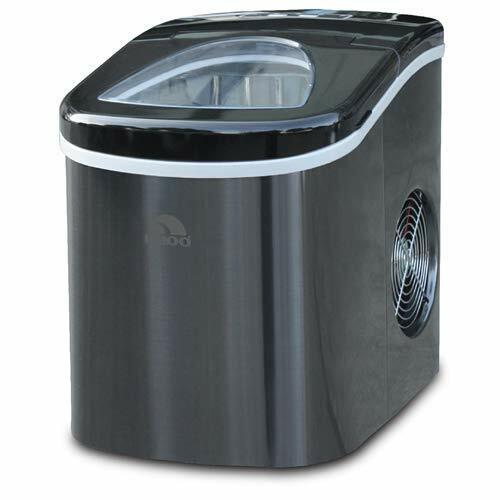 ★SUPER QUIET DESIGN--Using high quality compressors,so its effectiveness of ice making is very efficient and noise is so low that will not disturb your relax. ★Suit FOR ANYWHERE -- Due to the portable and compact design make it possible to work anywhere, such as party, gathering, RV, boat, bar,or home and so on. 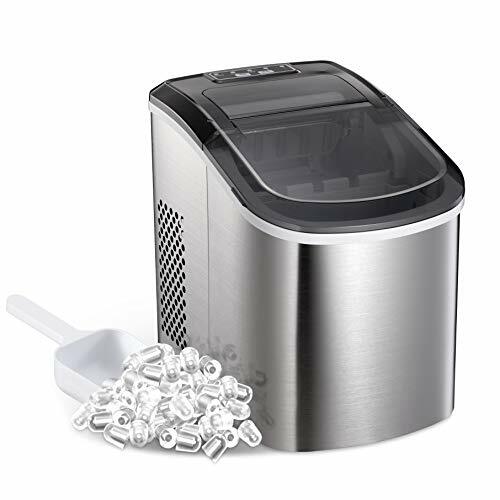 COMES WITH BASKET and ICE SCOOP - ETL and FDA certified ice-maker comes with a 1.5 lb removable ice bucket and a plastic scoop so you have everything you need for your ice adventures. 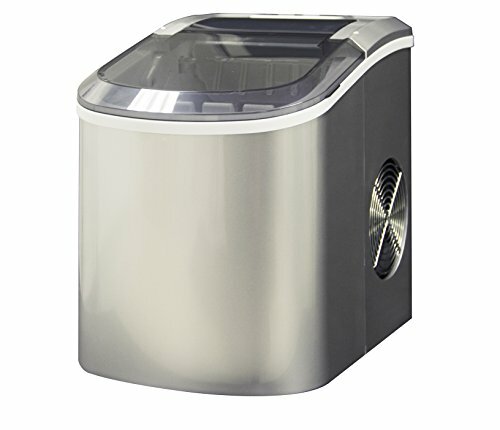 And with its modern stainless steel finish, it fits perfectly on any bar, kitchen counter, or tabletop. Be sure to use your ice shortly after making or store it in a freezer for later use! 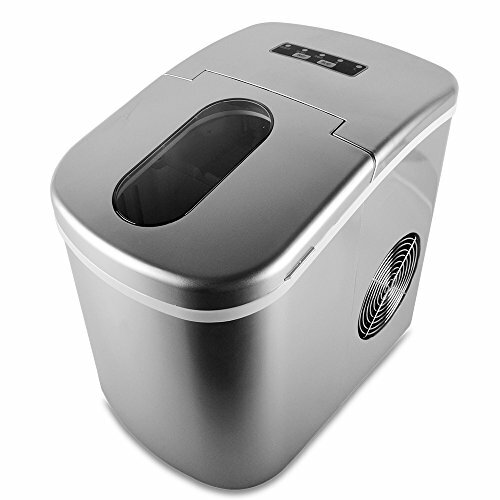 Stainless steel designed ice maker that can produce up to 26 pounds of ice in 24 hours. Max capacity of 1.76 lbs or 0.8kg. Sleek designed stainless-steel housing that adds a stylish décor and modern look to any home, bar, mancave, room or kitchen. Electronic controls with LCD display including ice cube size, add water, timing and ice bucket full indicators. 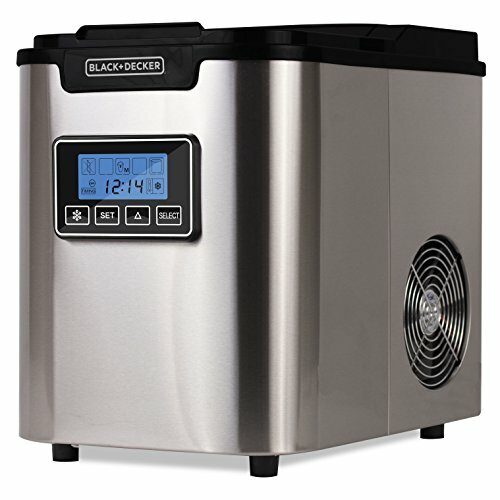 Makes 9 ice cubes in 10 minutes at 77 degrees Fahrenheit ambient temperature. 3 option choice of small, medium or large cubes for you to choose. Ideal for special occasions, parties, the big game or whenever you need a cold beverage. Automatic Smart Design: Just need few steps.Add the water, Press the power and chose the ice cube size. Just waiting 6-8 minutes, enjoy your iced drinks. Simple to understand and illuminated with LED lights. 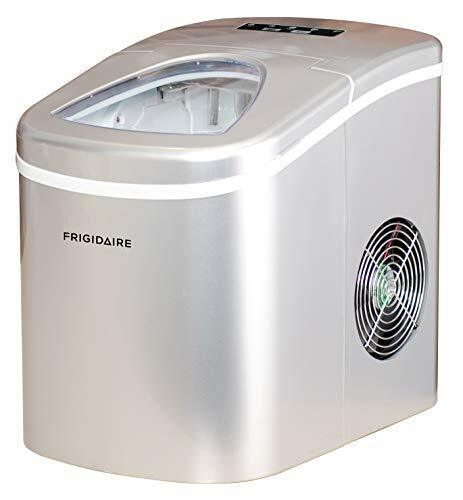 Warning lights and an automatic shut off function are activated once the ice basket is full or when water needs to be refilled.Timing function allow you close it in timing. Durable & Strudy Material: Fully stainless steel design make the surface wearproof, do not leave scratches easily. Wet shine body suit for kichen counter top, barbeques, outdoor parties, or basement bars. Portable & Multifunctional Use: An ideal choice for barbeques, outdoor parties, or basement bars because of the no water hookup design. Since it's flexible, light and easy to store,Measuring at 7 lbs you can bring it nearly anywhere. 2-Year Warranty: Product approved by ETL, 2-year warranty and 30-day return policy from us. And technical advice and customer service are provided throughout life. Be sure to use your ice. ❄️【Large Productivity】The KUPPET commercial Ice Maker can continue to work without interruption during 24 hours. 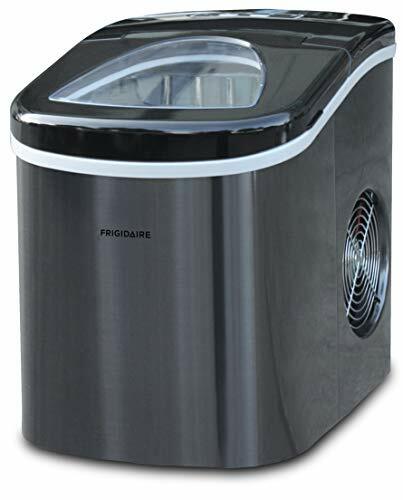 Powerful compressor produces 33 pounds of ice a day so you never have to run to the store for a bag of ice again.You can create ready-to-serve ice in an average of 7-15 minutes. 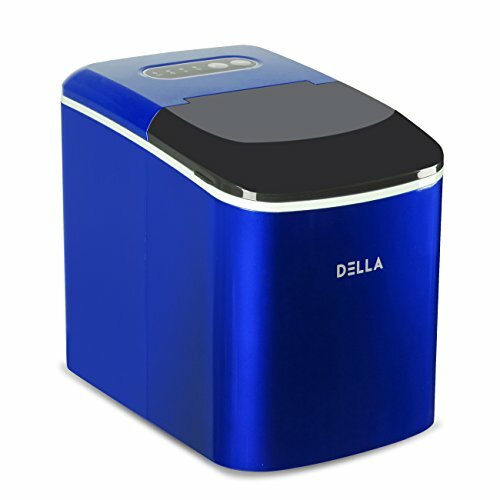 ❄️【2 In 1 Ice Maker Machine】Unique design uses "water cooler" style to supply ice or cold drinking water conveniently.You also can mix the ice made by machine with the dishes, fruits, drinks, or be used for ice when you sprained. 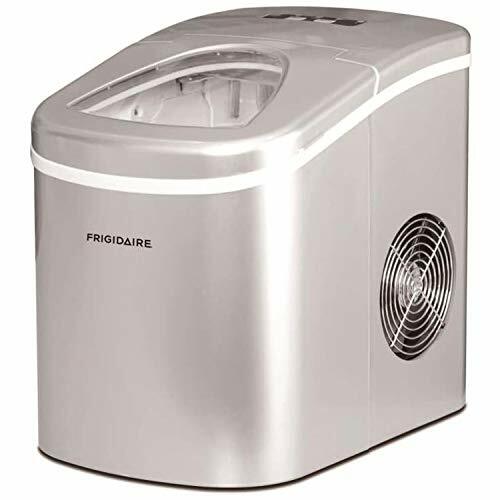 ❄️【Super Quiet Design】Using high quality compressors,so its effectiveness of ice making is very efficient and noise is so low that will not disturb your relax. 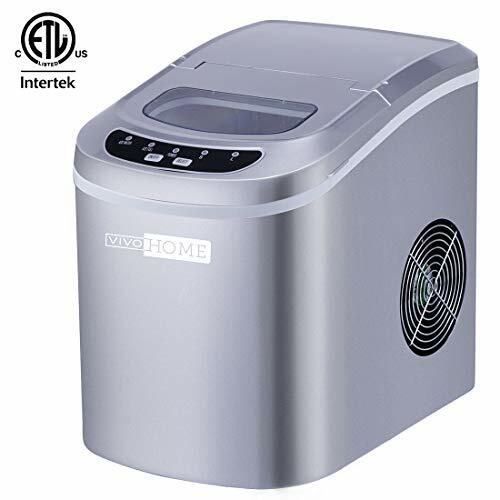 ❄️【Built-in Safety Feature】This ice maker machine features an automatic overflow protection and ETL certification,so you can buy it with confidence.And that the ice maker machine can power off automatically when it is waterless and ice sensor will stop it when ice full,so you don't worry it will damage when you use it. 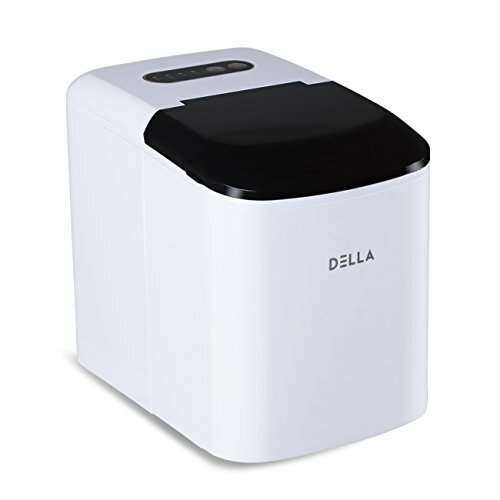 Automatic Smart Design: Just need few steps.Add the water, Press the power and chose the ice cube size. Just waiting 6-8 minutes, enjoy your iced drinks. Simple to understand and illuminated with LED lights. 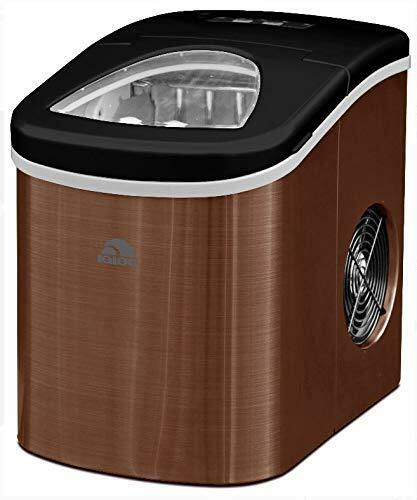 Warning lights and an automatic shut off function are activated once the ice basket is full or when water needs to be refilled.Timing function allows you close it in timing. Smart-Clean Function: In areas with hard water, minerals can stick to ice maker internal during the ice making cycle, eventually forming hard, scaly deposits in the ice maker, which can lead to stinky and impure ice cubes. 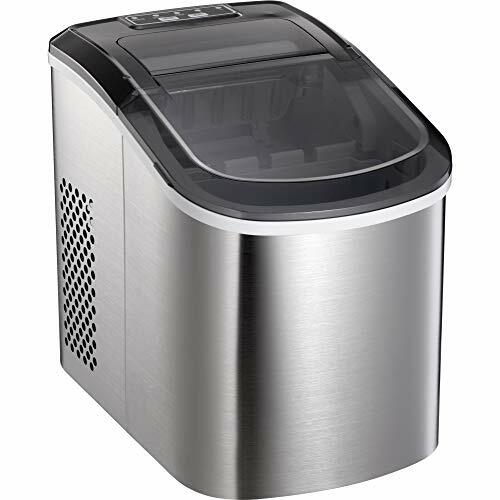 With the self-clean function, cleaning ice maker could be no longer messy. Sponge or rag? No need. Just add some water, and clicking a few buttons. FAST MAKER-Antarctic Star ice maker has a powerful and fast ice making capacity.Makes batches of ice cubes in about 26 lbs of ice in per day and Makes batches of ice cubes in about 6-13 mins.Don't worry about running our if ice,Especially in the hot summer, you can enjoy drinks and beer with ice cubes. 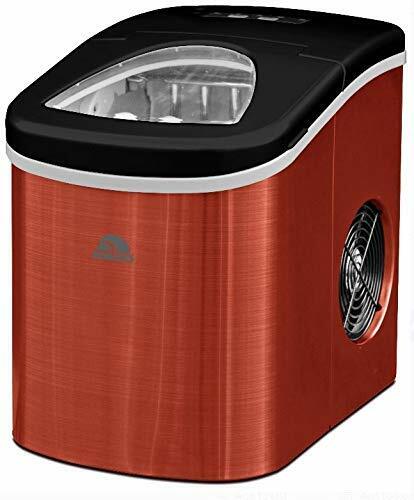 PORTABLE and COMPACT-This ice maker portable, convenient and compact in size.Perfect for camping, boating, gathering and taking RV trips , and also fit for kitchen, home, office coffee shop. The best idea for summer parties. 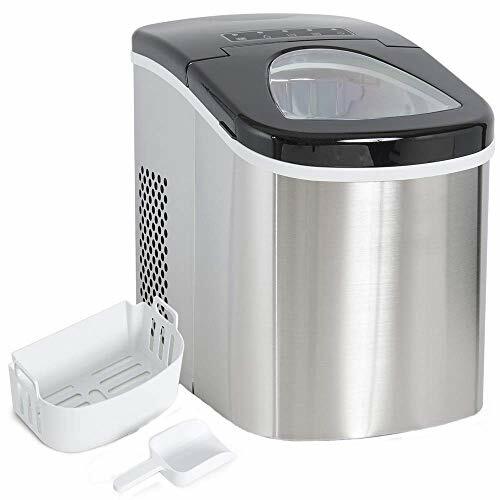 EASY TO USE-You just plug in to main and add some water, then press the button,The digital screen will tell you how long it will take to enjoy the ice.It's also comes with a removable ice basket and scoop. 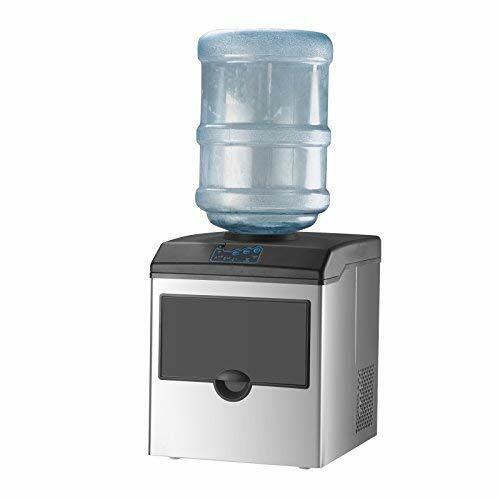 USE FUNCTION-LCD screen let's you know the time to add the water,it's it's equipped with alarm light and automatic shutdown function,take out the ice cubes, the machine will automatically start go into the ice-making mode. OUR SERVICE-We offer a one-year warranty,if you have any problem, please contact with us, We will do our best to provide the good service. HIGH EFFICIENCY：Ice cubes are ready in 6-11 minutes. 26 lbs within 24 hours, high efficiency with low noise. 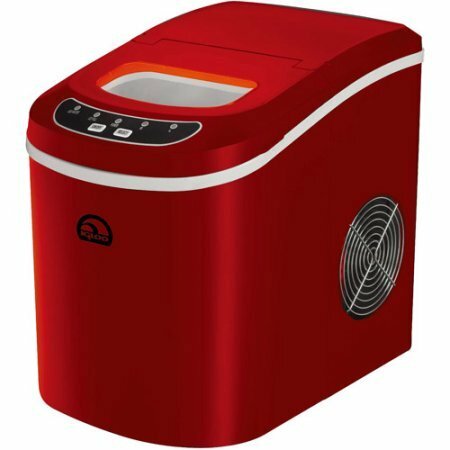 Coming with ice scoop and ice basket ,This ice maker machine is portable and compact for all demands, such as barbeque, parties, bars and family daily use. MORE FUNCTIONAL: Provide two sizes cubes choices. Automatic shut-off function will take effect when the machine is lack of water or full of ice cubes. LCD display make the operation more visible and easier. TIMER SETTING: Delay time range form 0.5 to19.5 hours. the machine in ice-making process can be set time for turning off; the machine in stand by process can be set time for turning on. It all depends on your requirement. SELF-CLEANING FUNCTION: Press the "clean" button for more than 3s.Help to remove the minerals which occurs during the ice making process . with this function, it is an easy way to clean the ice maker machine and make more pure ice cubes. SATISFIED SERVICE: ETL certified. One-year warranty and 30-days return policy promised form us. you can contact us when you meet any problems, we will serve you with all our heart. HIGH EFFICIENCY：Ice cubes are ready in 6-13 minutes. 26 lbs within 24 hours, high efficiency with low noise. 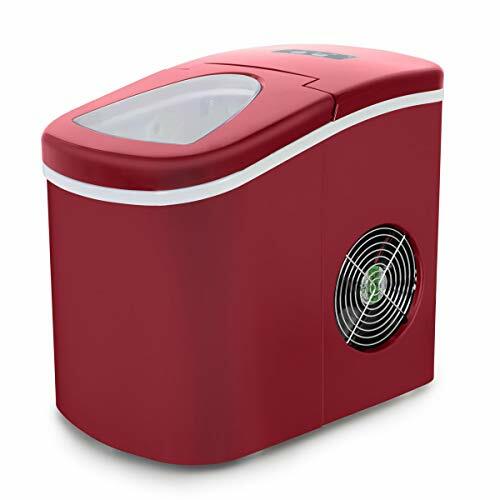 Coming with ice scoop and ice basket ,This ice maker machine is portable and compact for all demands, such as barbecue, parties, bars and family daily use. MORE FUNCTIONAL: Provide two sizes cubes choices. Automatic shut-off function will take effect when the machine is lack of water or full of ice cubes. VISIBLE CONTROL PANEL: Easy to use. visible function touch display setting with Ice-Full indicator, water shortage indicator, power indicator and cube size indicator. CLEAR OPERATION: LED light design, large transparent windows to facilitate the viewing process, high-quality stainless steel casing to make the machine more durable. 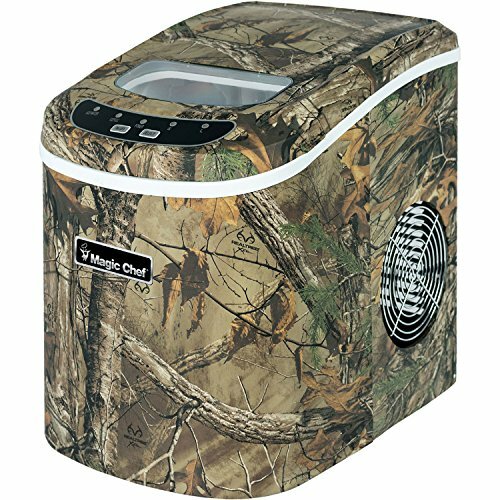 SMART FEATURES - Automatically prevents overflow with warning lights and an automatic shut-off when the ice basket is full. Alerts you if water needs to be refilled. No installation required!! 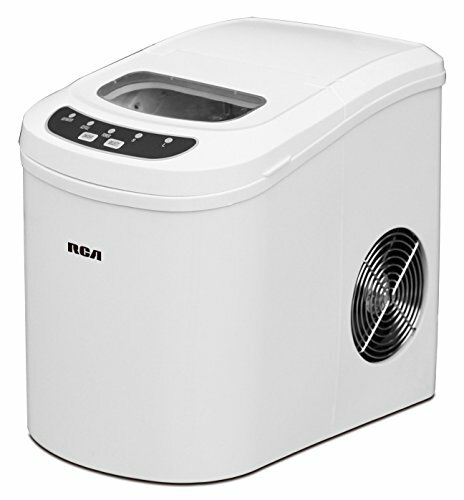 QUIET & ENERGY EFFICIENT - Electric ice maker is designed to be quiet; Runs on 120 watts with a silent cooling function. 2.2-liter water reservoir sits below ice basket, allowing you to reuse water from melted ice to make new ice. COMES WITH BASKET and ICE SCOOP - Removable ice bucket and a plastic scoop so you have everything you need for any adventures. Modern and durable stainless steel finish, fits perfectly on any bar, kitchen counter, or tabletop. Use or store your ice after making for later use! Making Ice Cube in 6 ~ 13 munites: Efficiency: Makes batches of ice cubes in about 6 minutes. Produces up to 26 pounds of bullet shaped ice per day. 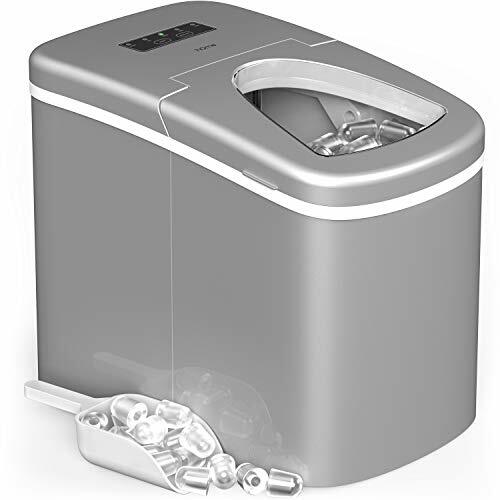 Ice Capacity: 12Kgs/24 hours; Ice Cubes amount is 9 pieces per cycle at one time; Sleek Performance-Oriented Design, Portable Stainless Steel Ice Maker. 2 Selectable Cube Sizes, Removable Tray for Easy Ice Transfer. Removable Ice Basket Capacity: 0.7 Kg: Modern compressor refrigeration technology; See through Window on Top Allows for Process Monitoring & Ice Level Checking. 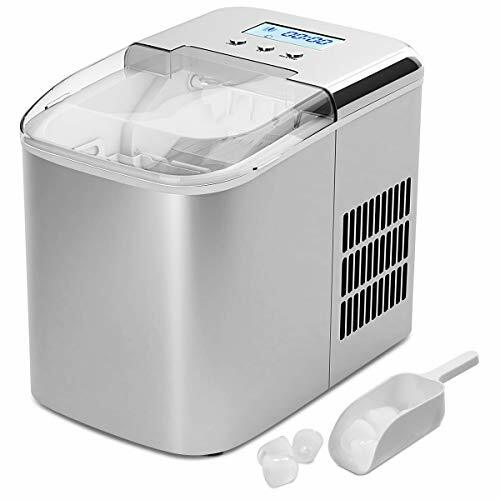 Ice Shape is Bullet Warhead; Small and Large 2 different ice sizes Very easy to use, this portable ice maker machine requires no plumbing in / Just plug in to mains and add water. Alarmings Lights: ice full & deficient water will be known from the alarming light which is on. 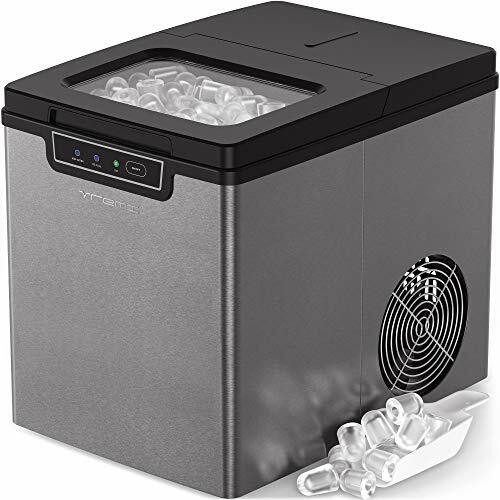 Convenient: Its compact design allows it to be placed anywhere, the Ivation portable ice maker makes ice cubes in less time than it takes to run to the store. 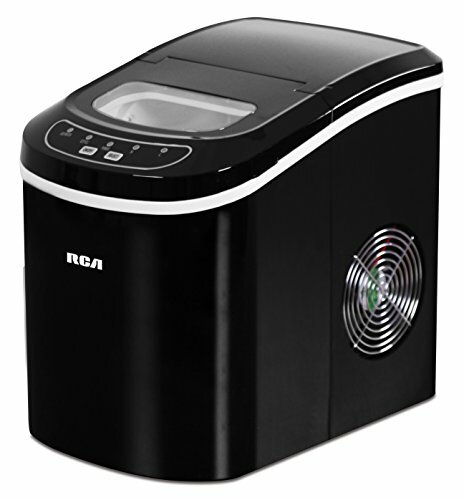 【LCD Display】This ice maker with LCD display provides you make ice very easily. The buttons on the control panel let you turn it on and off and select the size of ice(small or large) required. There are also different indicator icons to tell you when the ice is full, when you need to top up the water, whether the ice making is working. 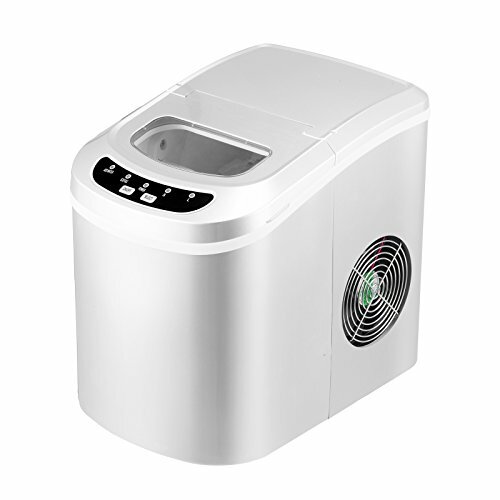 【Quiet And Energy Efficient】Our electric ice maker with mellow and efficient 120W runs fast and quietly. Its 2.1L reservoir water tank sits below the ice basket, which makes any unused melting ice back into the reservoir to be recycled into fresh new ice. And it can make up to 26 lbs of bullet-shaped ice cubes per day and efficiently make 9 ice within 9 minutes. 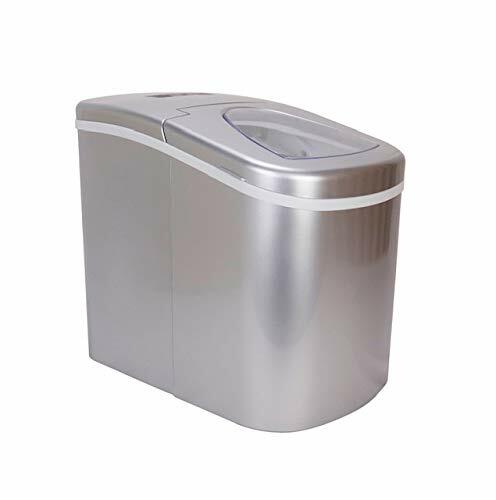 【Sturdy and Durable Material】Stainless steel finish protects the unit from any water, rust, or corrosion, which is perfect for home and easy to clean. 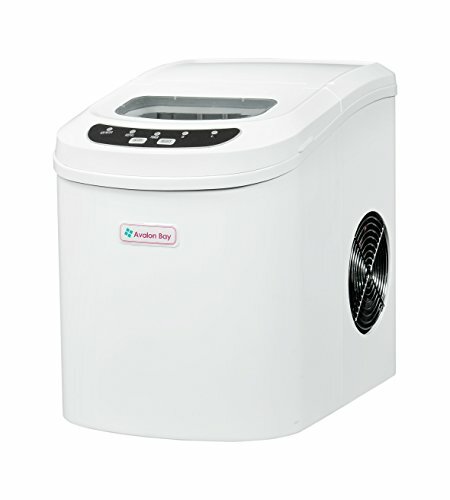 Besides, made of ABS and PP plastic, this ice maker is sturdy and durable so that can use for long period time. In addition, R134A Refrigerant with non-toxic and non-destructive to ozone layer protects the environment and provides safety, healthy ice cubes. 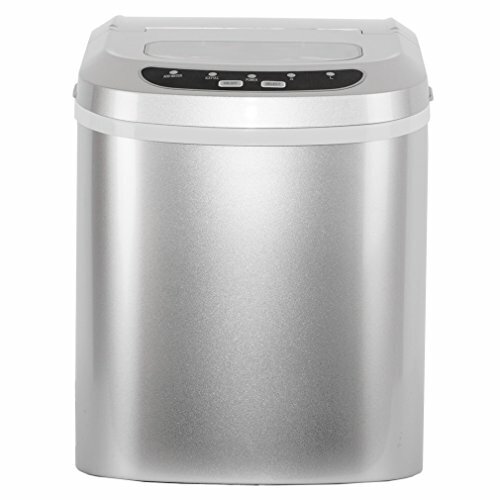 【Portable and Suitable for Anywhere】Due to the portable and compact design, this ice maker is suitable for anywhere and can work anywhere, such as party, gathering, RV, boat, bar or home and so on. With lightweight and portability, it's ready for you whatever frosty fun you want. 【Visible Working Status】You can see the ice making process directly through the big transparent full-view-window. When the machine is making ice cubes, it's another fun to see the bullet ice cubes generate. The big visible cover plate gives you the chance. 【Ice Scoop & Removable Tray】 Removable tray makes a HUGE difference. 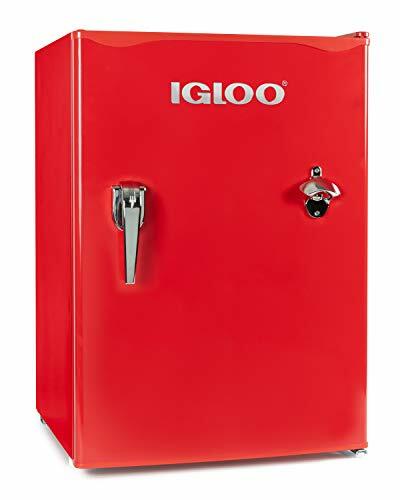 You are able to scoop the ice out of the machine into a secondary container to transport it to your bar or freezer for storage. 【Instruction】 Before Using the ice maker for the first time, please wait 2 hours after positioning it, and keep the transparent lid open for at least 2 hours. 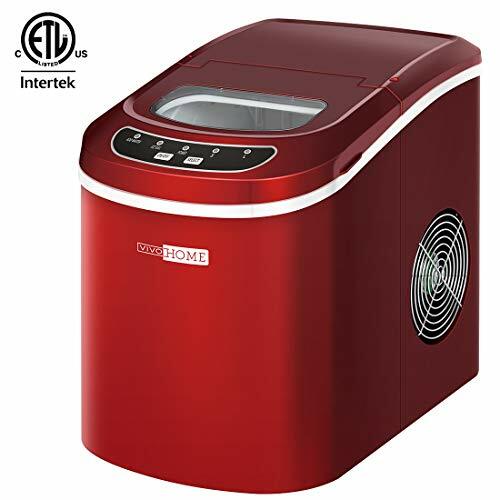 【COMPACT & PORTABLE】 Portable, convenient and compact in size, this ice maker looks great on any countertop while producing and storing ice whenever or wherever you need it. 【CONTROL PANEL & LENS】 Easy to read and illuminated with LED lights, the electronic control panel notify you know when you need to add water, when the ice basket is full and allows you to choose the size of the ice cubes. 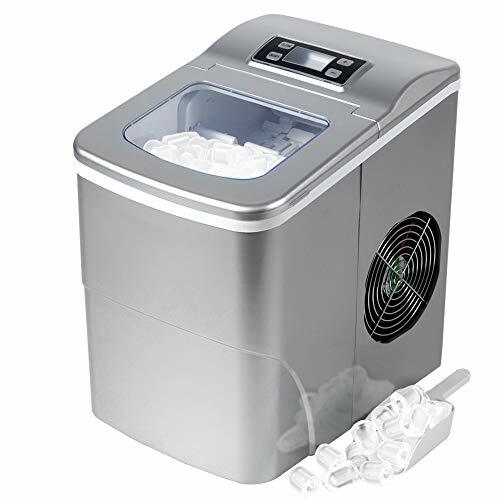 【FAST OPERATION】 Makes 9 small or large cylinder-shaped ice cubes in average 6-7 minutes. Keep the water tank filled and this unit will produce 26 pounds of ice in a 24 hour period - enough to keep drinks cold all day long. 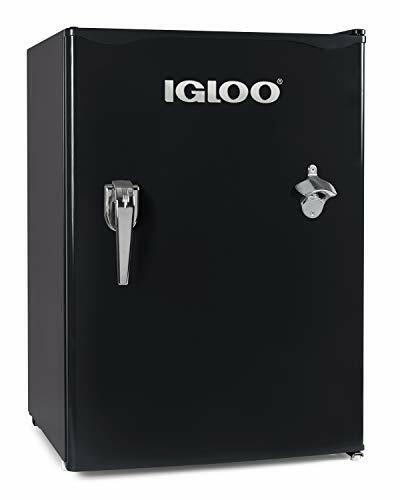 Stores 2 pounds of ice at a time with 3 quarts water tank capacity. 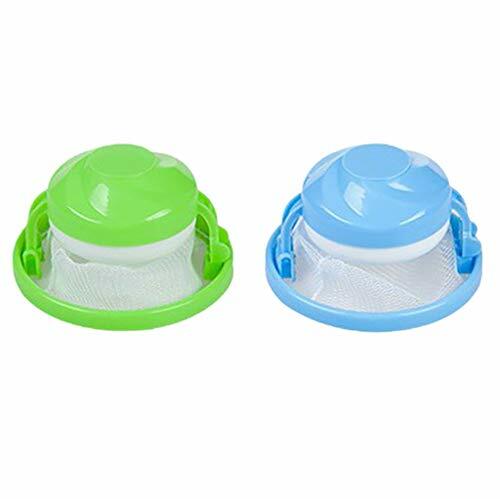 【ICE BASKET & DRAIN PLUG】 Ice basket can be easily removes to transfer ice cubes and water can be drain by easily removing the drain plug. 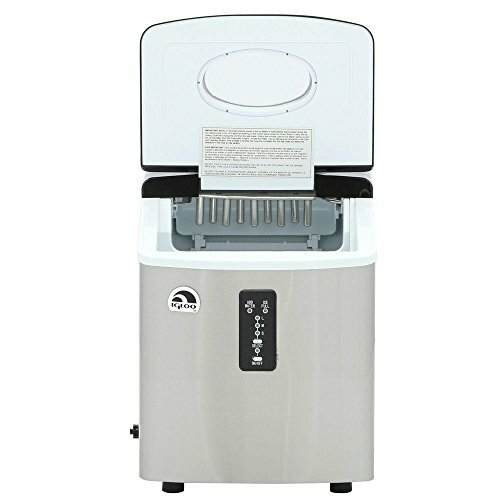 【HOW ICE MAKER WORK】 Portable ice makers work like any other traditional freezer or ice maker. Water is pumped into the rotating ice tray. The compressor and fan then freeze the water into ice. Then a warm refrigerant causes the ice to be released into the ice bucket. Capacity : Spacious 2.6 cu. 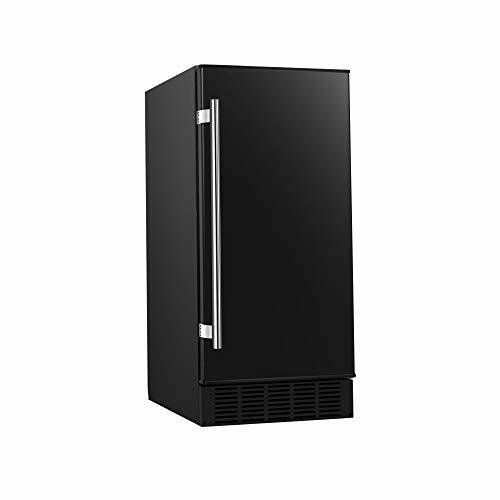 ft. single door refrigerator is perfect for snacks, fruits and vegetables, soda, beer, ice cream and more. Fits Wherever Needed : Recessed door handle allows door to be reversed to fit conveniently into any space - perfect for dorm rooms, office spaces, garages, workshops and more. Refrigerator Cooling Range : Keep foods perfectly chilled between 32°F - 50°F. Eraser Board Exterior : Use the dry erase exterior to organize lists, notes and doodles. 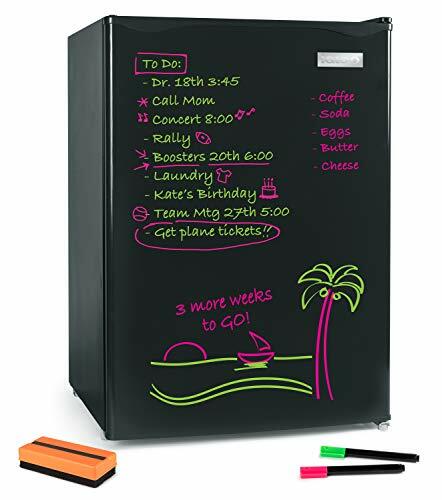 Dry Erase Markers : Includes neon green and pink dry erase markers, and eraser. 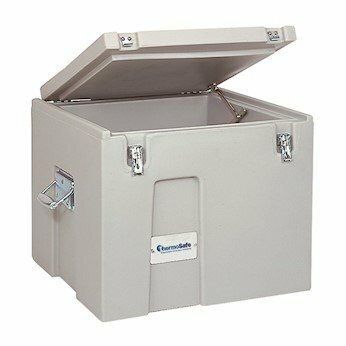 Separate Freezer Compartment : Compartment provides ample space to store your favorite frozen foods. Versatile Storage : 2 frameless slide-out glass shelves with spill prevention guards, along with an 8-can dispenser, 2-liter tall bottle storage and a condiment shelf fit a variety of foods and beverages. Easy-Access Thermostat : Compressor cooling helps maintain optimal temperatures to keep items fresh. Adjustable Leveling Feet : Adjust feet to keep the refrigerator level, even on unlevel flooring. Capacity: Spacious 2.6 cubic foot single door refrigerator is perfect for snacks, fruits and vegetables, soda, beer, ice cream and more. Fits Wherever Needed: Perfect for the home, dorm rooms, office spaces, garages, workshops and more. Separate Freezer Compartment: Compartment provides ample space to store your favorite frozen foods. Easy-Access Thermostat: Compressor cooling helps maintain optimal temperatures to keep items fresh. Chrome Handle & Bottle Opener : Retro-styled chrome handle and bottle opener are reminiscent of the charismatic charm of the 1950s. Versatile Storage : 2 frameless slide-out glass shelves with spill prevention guards, along with an 8-count soda can dispenser, 2-liter tall bottle storage and condiment shelf fit a variety of foods and beverages. Accessories: Includes an ice cube tray, ice scraper and freezer drip tray. Leveling Feet: Keep unit level by adjusting leveling feet. Energy Saving: DOE commercially compliant. Capacity : Spacious 2.6 cubic foot single door refrigerator is perfect for snacks, fruits and vegetables, soda, beer, ice cream and more. Fits Wherever Needed : Perfect for the home, dorm rooms, office spaces, garages, workshops and more. Versatile Storage : 2 frameless slide-out glass shelves with spill prevention guards, along with an 8-count soda can dispenser, 2-liter tall bottle storage and condiment shelf adjust to fit a variety of foods and beverages. Accessories : Includes an ice cube tray, ice scraper and freezer drip tray.